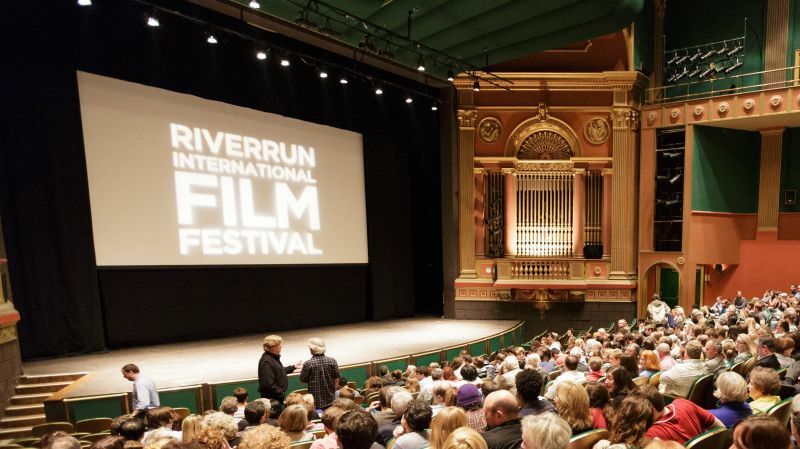 The 16th annual RiverRun International Film Festival will be running from April 4 – 13 in Winston-Salem. Held annually each spring, RiverRun screens a wide variety of feature-length and short films from all genres, and also presents a broad range of special events, including high-profile regional premieres of significant films. This year, festival winners can even become contenders for next year’s Academy Awards. The festival, like its more famous cousins at Sundance and SXSW, relies increasingly on new technologies to develop and deliver the wonder of traditional moviegoing. We spoke with Christopher Holmes, Program Coordinator for RiverRun, about how they use small-screen and other new technologies to bring this banner event to the big screen in the City of Arts and Innovation. BTN: How has technology changed the realization of your film festival? RRIFF: Online streaming platforms have made all of our jobs tremendously easier. Keeping up with the programming landscape at major international festivals like Cannes has become so much more manageable – without ever having to leave the office. In the past it might take several emails back and forth and then the mailing of a physical DVD screener to facilitate the consideration of just one potential film, or even schlepping to the festival in person. Online filmmaker services such as Cinando and Festivalscope now exist that allow us to request and receive invitations to watch streaming versions of many films, and this can all happen within the span of an hour or less now, given the response time from a particular filmmaker or distributor. Likewise Vimeo and YouTube have become high quality, legitimate receptacles for screeners from filmmakers that respond to our open call for submissions, so it’s really changed things for the better in terms of how quickly we’re able to preview titles that pique our interest. BTN: How does it help support and promote the event? RRIFF: Social media tools and their mobile apps have become integral to the way we promote the festival. We used to rely heavily on our in-house printed film guides and brochures, and local print media to get the word out, but now we can do that worldwide within a matter of minutes using Twitter, Facebook and Instagram. These tools additionally allow us to maintain a direct running dialogue with our supporters in the community and make everyone feel actively engaged with what’s happening at RiverRun on a consistent basis. Keeping in touch with our audiences and staying on their radar in the many off months has always been a particularly challenging undertaking and technology has allowed us to accomplish this in a more purposeful and conversational way. And just in terms of design and implementation of graphic elements, it speeds up turnaround time on the creative end as well, since sharing high-res mock-ups and proofs via email is now very simple. BTN: What is this new connection with the Academy Awards? RRIFF: This year, for the first time in our history, we’ve been approved as a qualifying festival for the Academy Awards in the category of Short Subject Documentary, of which there are only a handful in the Southeastern United States and just a few dozen overall. Each year we assemble a jury for each competition category, comprised of noteworthy professionals, writers, academics and other personalities from the cinematic arts. Those juries deliberate during the festival to distinguish films with awards in their respective categories. What the Oscar-qualifying tag means is that whichever film our Documentary Shorts jury awards with the Best Documentary Short prize is automatically in the pool of films that the Academy of Motion Picture Arts and Sciences members ultimately consider for Oscar nomination. Basically we are a necessary filter between the entire mass of documentary shorts produced every year and what the Academy members are able to consider with their extremely limited time. So there’s a decent chance that one of the films programmed will be among the Oscar nominated shorts this time next year, and directly because of its participation in the festival. BTN: We hear a lot about multiscreen user experience these days. Are you discouraging or encouraging it for events like this? RRIFF: We are certainly discouraging it during the screenings themselves! There’s nothing more magnetizing to the eye than seeing a screen light up, and it is an enormous disruption to the immersive environment filmmakers covet when creating their work, so we do everything we can to be faithful to that interaction. However we are certainly encouraging the integration of all sizes of screens and technology in representing the festival more generally—talking about viewing experiences our audiences have had, sharing viewpoints on films we’ve shown, events we’ve put on or experiences we’ve created, and including things like trailer links and other visual content on our web-based analogs. BTN: How can moviegoers use their mobile devices to select films and track showing and ticket availability? RRIFF: Our website has a mobile version which enables sorting through film listings, viewing the schedule, watching trailers and buying tickets online. Additionally we have a mobile app for both iOS and Android devices that makes simply sorting the films even easier … it even allows the user to filter out a combination of attributes such as genre and venue to achieve a very specific set of recommendations based on a lot of different variables. BTN: Looking ahead, how do you think wearables – especially devices like Google Glass – may change the film going experience of tomorrow … for better or worse? We don’t see a small-screen application like Google Glass as particularly conducive to the large scale, projected effect that cinematic communication necessitates. After all, larger screen sizes have been positively linked to viewer engagement and interactivity (even on a physiological level) so the smaller the viewing space, the less control the filmmaker has over the way and degree to which the audience engages with the content. For more small-screen, commercially driven applications like viewing sports, news, film trailers and social media, we can imagine it being very appealing, even if only from a novelty perspective. People are constantly looking for new user experiences and ways to keep their messages fresh and vital, so Google Glass and other wearables seem like they could present new opportunities in that respect.